If you like the classic Breakaway Wand, you'll love the Wilting Magic Wand!! The Breakaway Wand is a comedy classic, but the Wilting Magic Wand is the next step in its evolution! 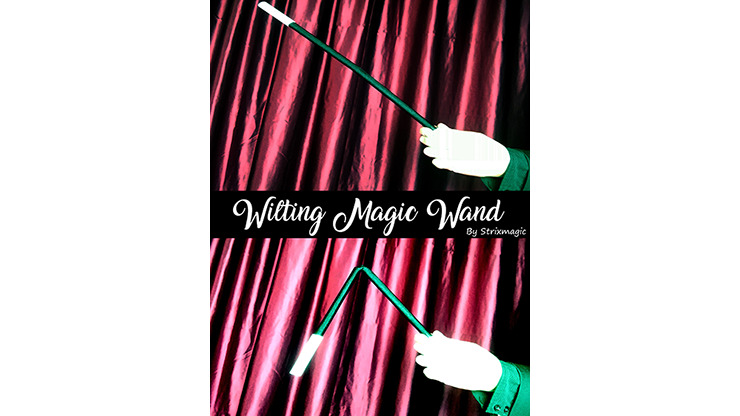 Nothing to palm or hold, you can use this wand during your performances without fear of activation, yet when a spectator tries to raise it to use it, it droops, eliciting peals of laughter from the audience. When you take it back, you can show it works just fine for you, but droops again for the spectator. Add some guaranteed comedy to your next kid show and order yours now!